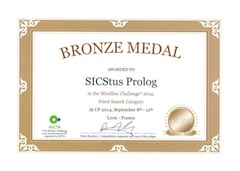 SICStus is a state-of-the-art, ISO standard compliant, Prolog development system. See our article. SICStus is built around a high performance Prolog engine that can use the full virtual memory space for 32 and 64 bit architectures alike. SICStus is efficient and robust for large amounts of data and large applications. The complete User's Manual is available on-line in HTML and PDF. If desired, an "on demand" or ebook version, comprised of the core manual chapters, can be purchased from Amazon. 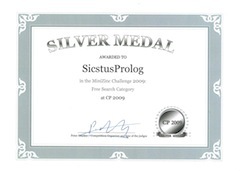 SICStus provides constraint programming with several constraint solvers. This technology has been successfully used in commercial applications as well as in research projects. 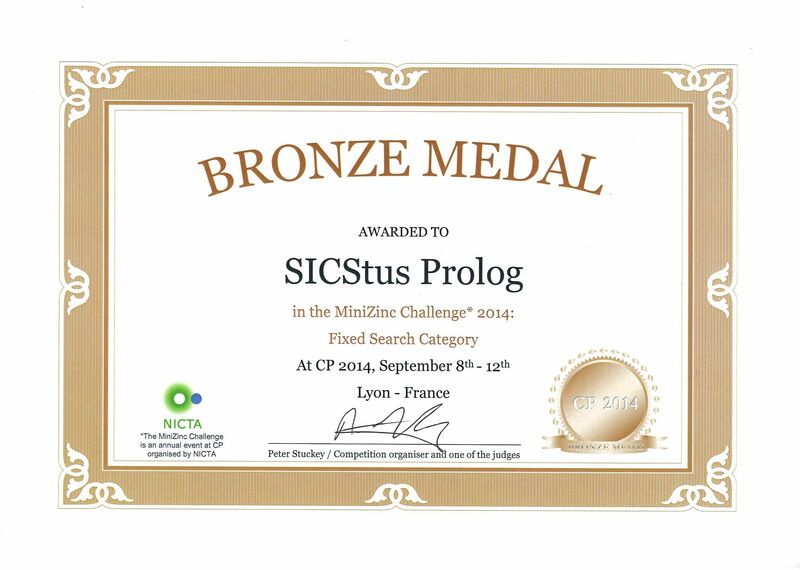 SICStus won medals in the 2009 and 2014 MiniZinc Challenges. A comparison. SICStus provides support for developing web based applications. 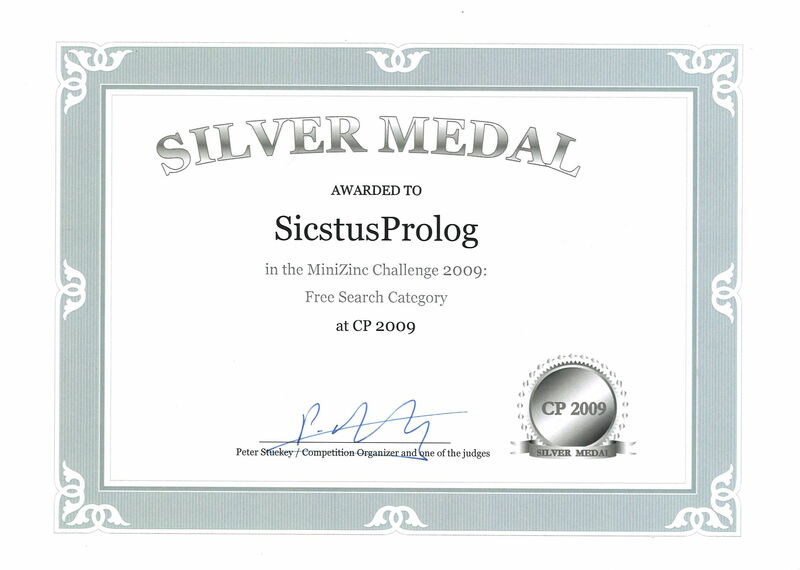 The PrologBeans module makes it easy to use SICStus Prolog from a Java or .NET based application server. April 3, 2019. Read More >>>. February 19, 2019. Read More >>>. January 23, 2019. Read More >>>. December 11, 2018. Read More >>>. March 19, 2018. Read More >>>. March 5, 2018. Read More >>>. December 18, 2017. Read More >>>. December 8, 2016. Read More >>>. June 8, 2016. Read More >>>. April 1, 2016. Read More >>>. May 19, 2015. Read More >>>. Dec 17, 2014. Read More >>>. May 13, 2014. Read More >>>. Mar 8, 2011. Read More >>>. Dec 11, 2009. Read More >>>. Mar 1, 2007. Read More >>>.